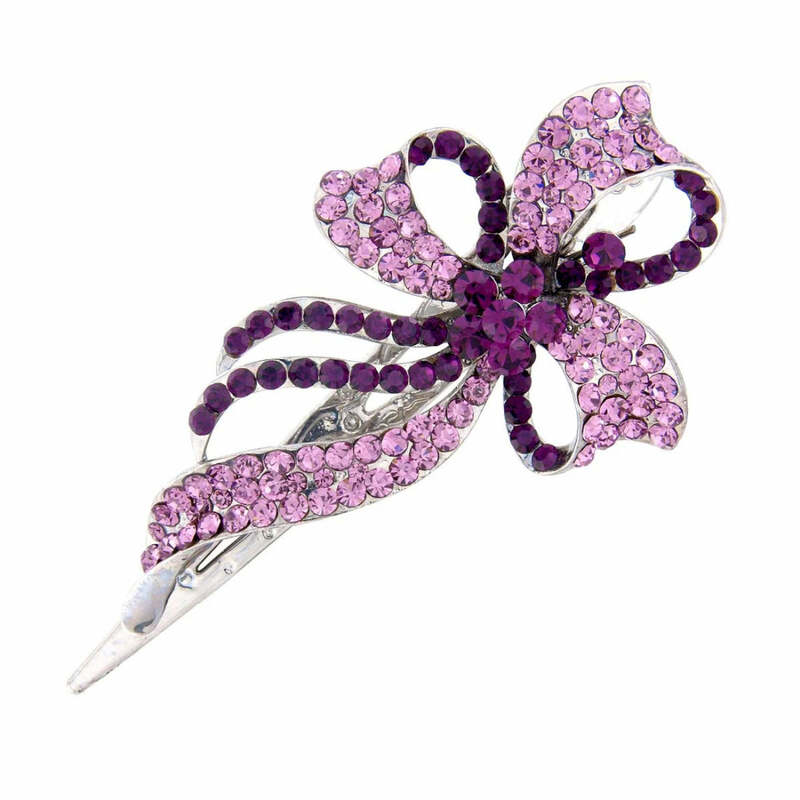 Decadent and full of vintage glamour this purple tone concord clip is a vintage delight. Decadent, opulent and oozing vintage style, this antique silver tone concord clip features a triple looped bow with trailing ribbons. Encrusted with a myriad of deep amethyst and soft lilac crystals, this bow piece takes influence from the Victorian period with its luxurious colour palette. A versatile hair accessory, concord clips look fabulous worn alongside the fold of a chic French pleat, randomly set in a low side chignon or at the back of the head to adorn hair styled half-up. A beautiful wedding hair accessory for bridesmaids wearing purple or lilac dresses, this 'piece' also enhances bow detailing or a bow-tied sash to perfection.